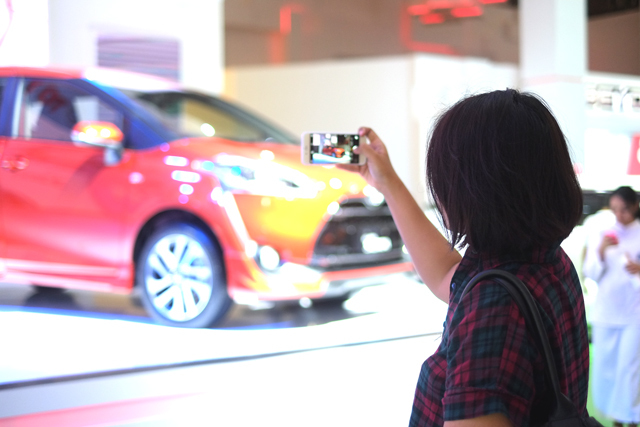 Last Friday I went to Indonesia International Motor Show 2016 with Rudy. 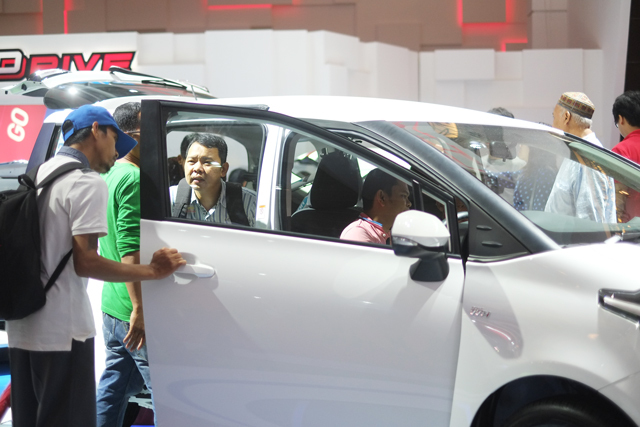 It was an impromptu decision to drive to JIEXPO Kemayoran, North Jakarta. I planned to go to IIMS this week, but as my schedule was changing drastically and I had a few meetings cancelled that afternoon, so there I went to IIMS. 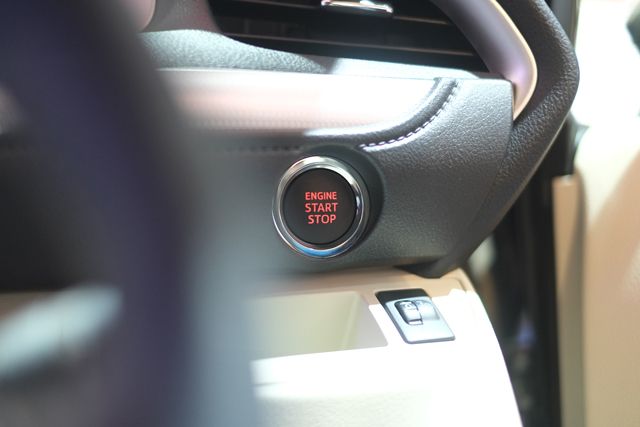 Actually automotive isn’t really my thing, but the vibe in IIMS totally changed everything. IIMS sounds familiar to me in the past a few years. But apparently it was started far back in 1986 by the name of GAIKINDO Cars Exhibition. 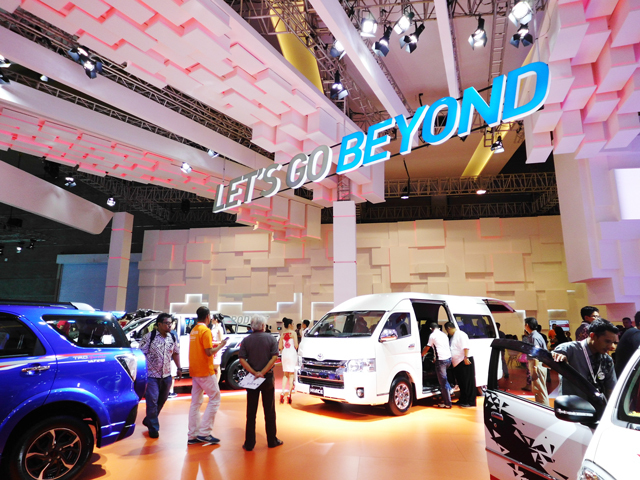 In 2006, the expo then changed into The 14th Indonesia International Motor Show. Until today, the expo became an annual event and generated lots of enthusiasts, including me! I arrived there in the late afternoon and it was crowded, maybe because it was the 2nd day of the expo. Soon as I got my entrance pass, I was mesmerised by the crowd in the expo. You can tell that the expo has so many enthusiasts when people are gathering around everywhere. 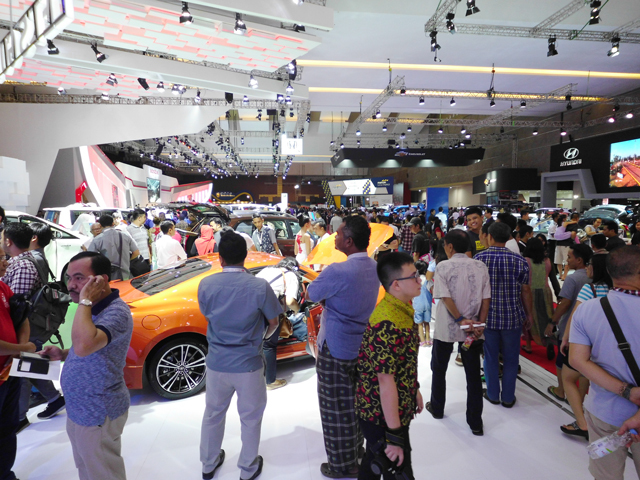 There were lotsssss of automotive brands participating in IIMS 2016, I’ve seen many familiar brands and even the ones I don’t often heard about. 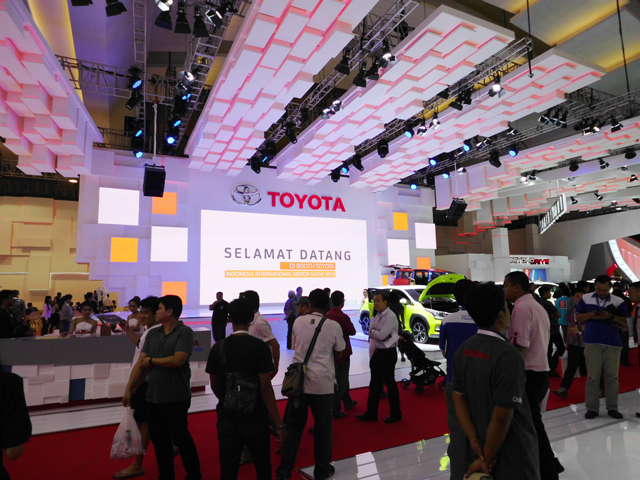 But my attention was caught by Toyota’s booth. I think I shall not call it a booth as their space was quite massive. 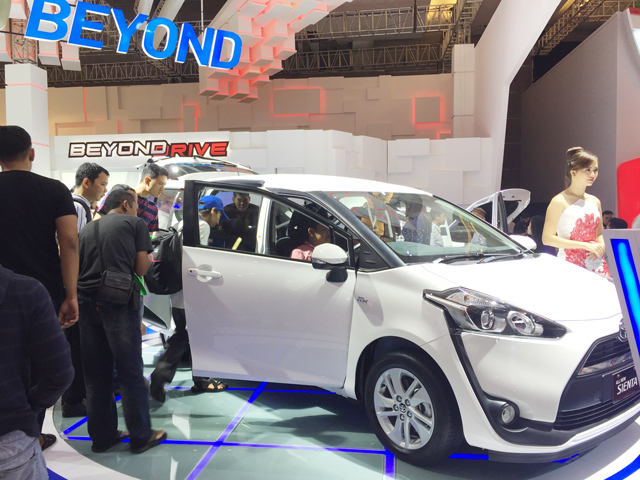 Toyota displayed a few different types of cars, but they are highlighting the brand new one called All New Sienta. I’m driving a Toyota in daily basis, so I’m excited whenever it comes to a new series of Toyota. 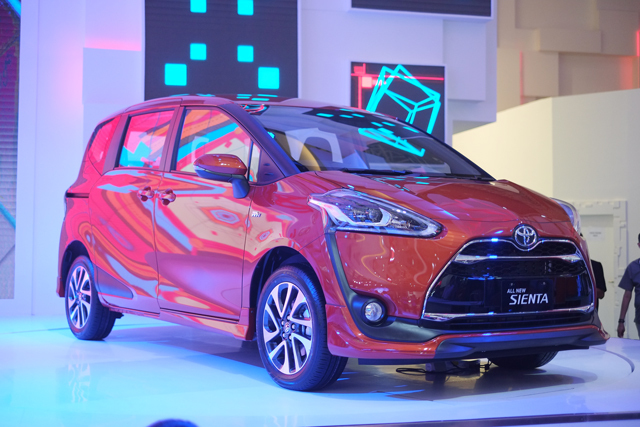 I personally love this All New Sienta, it looks stylish and modern. 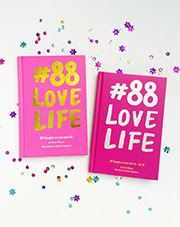 They have the tangerine color, which I looooove. The exterior looks stylish with the sliding door. 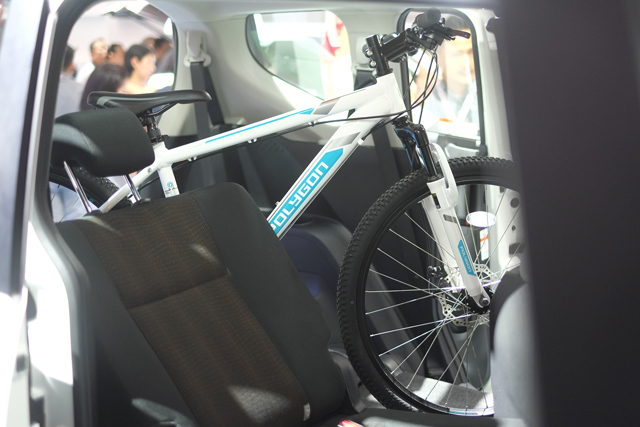 What I really love about All New Sienta is the spacious interior. 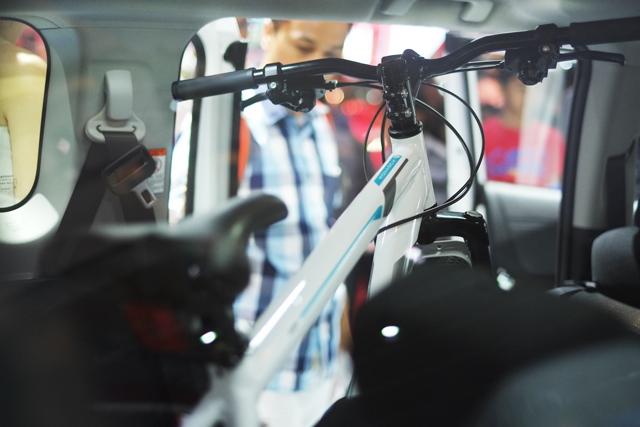 At the expo, they are displaying how much stuff can you fit into the All New Sienta, turned out that event a bike can fit in it. Hahaha! Dinda approved! Have you been to IIMS before? I think you should, the vibe is so alive at the expo!